This fabulous gluten free, dairy free & low carb (diabetes friendly!) 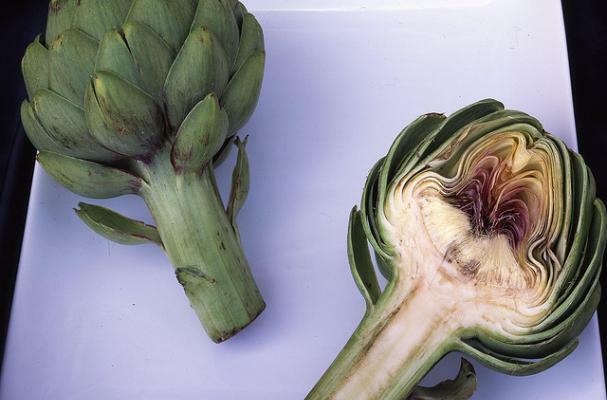 recipe combines two of my favorite foods: artichokes and aioli. Aioli is basically garlicky mayonnaise and is the ultimate dipping companion for fresh artichokes. Combined with sweet and smoky roasted red peppers, there's nothing you can't love about this recipe! Happy Wheatless Wednesday! Click anywhere inside the gray box for the recipe!